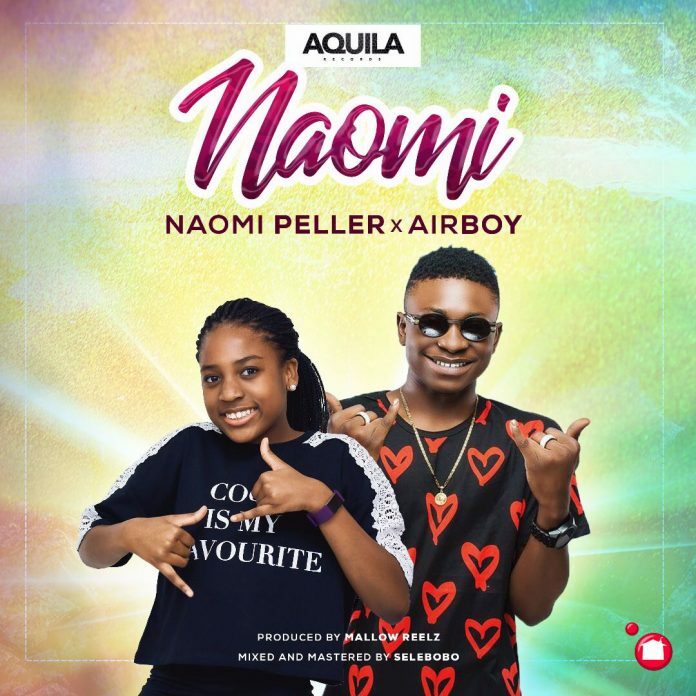 Shina Peller’s 12-year-old daughter and Aquila Records’ youngest star, Naomi Peller, premieres her second single Naomi featuring her label mate and fan favourite, Airboy. Following the release of her hit debut Believe, the self-titled song Naomi delivers a dance-friendly sound brought to you by hit-making producer Mallow Reelz. Naomi Peller gives a powerful performance in her hot new single Naomi followed by a smooth delivery from Airboy.